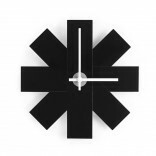 Watch Me by Normann Copenhagen is a simple and figurative wall clock. 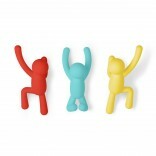 Its simple design and distinctive shape makes Watch Me stand out as it brings timeless swathes of color into your room. 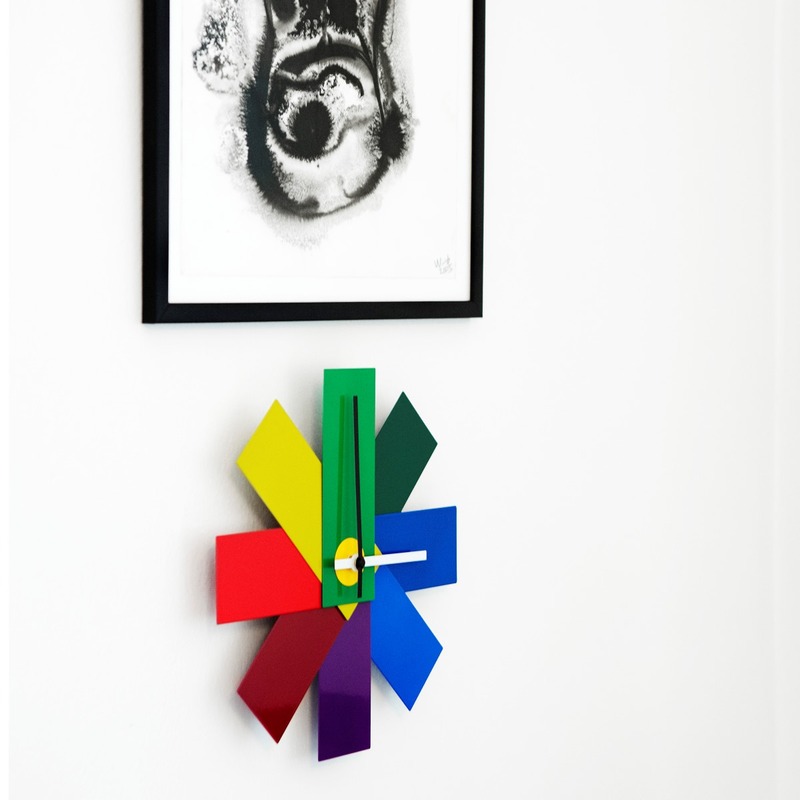 Watch Me is inspired by a color swatch that forms a fan when the colors are folded out. Time passes, whatever we do, but Watch Me adds color to the various times. 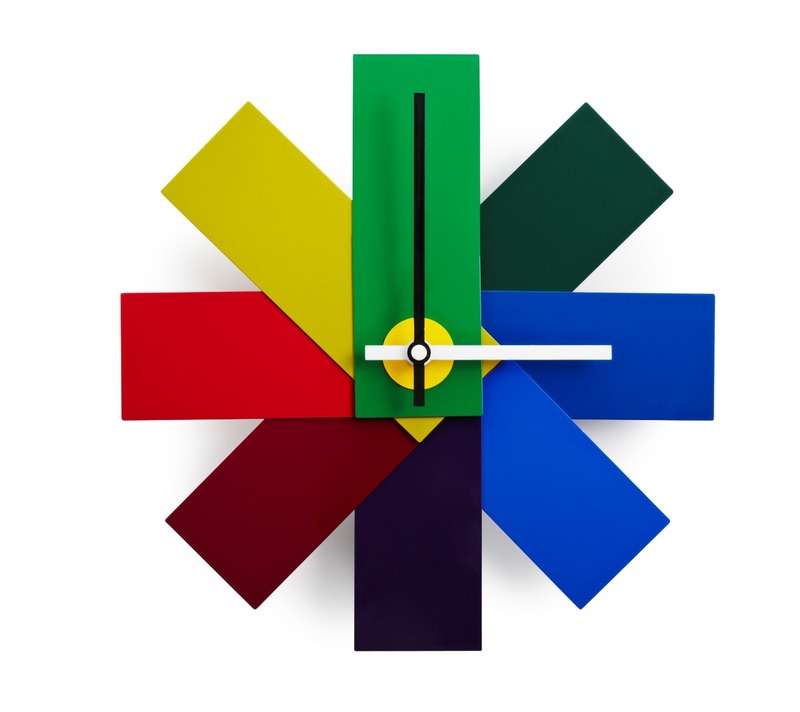 Watch Me is available in multi-color, blue, green and pink. The inspiration was taken from the block colors of the fashion world, which Normann Copenhagen now brings into the interior design sphere. 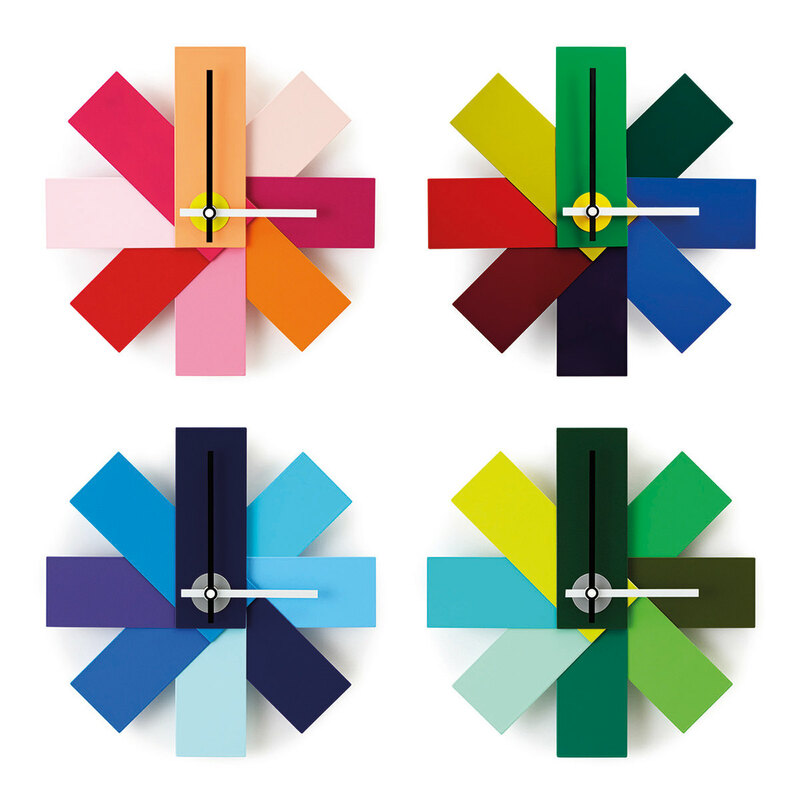 Hang it in any room that needs a bit of color, or put several Watch Me wall clocks together, showing the time in different time zones, for example.